Sorry about the lack of forecasts this week, but I have been really busy guiding and trying to sort out new content for the website. In truth not a lot had changed over the past few days, so the forecast was pretty much going to stay the same. However that is going to change a bit over the weekend, if the forecast wind arrives on Sunday. This morning and it looks like for most of today and tomorrow, we will have flat calm conditions. Great for sitting on the beach, but not quite so good for fishing. As I mentioned earlier in the week, calm and clear conditions make fishing a bit more challenging. Keep your tackle as light as you can and you will improve your chances of catching species such as Bream, Gurnard, Dabs and Plaice. If you want to target the less tasty, but more sporting species such as Ray and Smoothound then you may have to think about fishing at night. Sandeel and Peeler crab for the Ray and plain Peeler crab baits for the Smoothound. It will all change on Sunday if the forecast SW 20mph winds, gusting almost 30 do arrive. 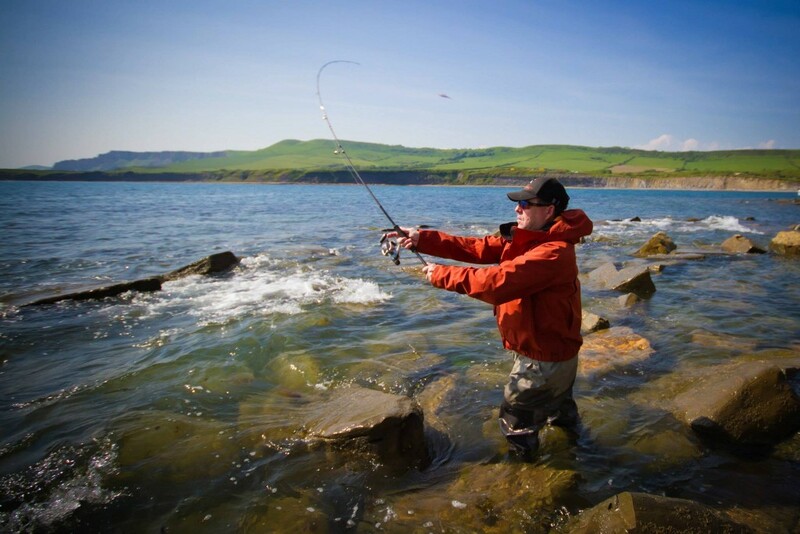 Chesil will be great for Bass fishing, but could be tricky to fish for other species especially those that you need to cast some distance to. If you don’t fancy sitting straight in to a wind then an alternative might be Hamm Beach. many people ask me where this is. 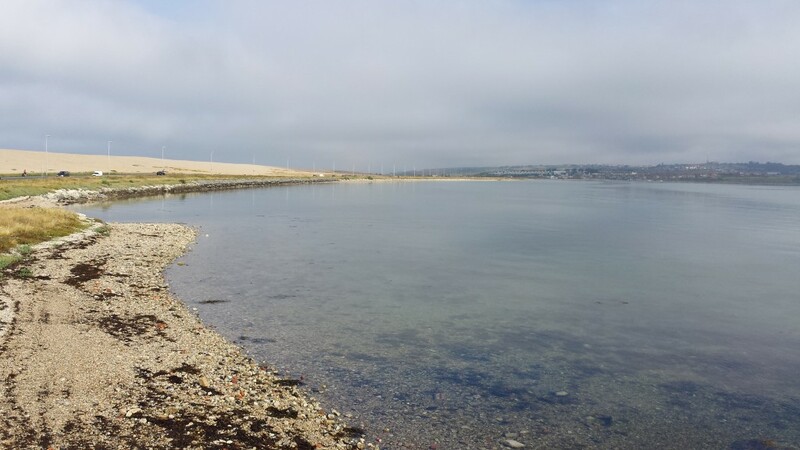 It runs from the new marina in Portland harbour to the Ferrybridge. This mark can be good for Flounder, Mullet and Bass, especially over high water. Thornback Rays and the odd Smoothound have been caught here. Occasionally Black and Gilthead Bream can be caught from the beach. If you get one then you can normally land quite a few. Best bait is Ragworm, fished on a to hook flapper with size 1 hooks. Chesil Beach forecast: Very big tides today, but they will start to tail of over the weekend. The clear water will be good for the shoals of Mackerel that should be around in large numbers. I have noted that the cooler water that was sat around the Bill and half way along Chesil has dispersed. This should make fishing even better. Expect Bream and Wrasse from the Portland end of the beach. Gurnard, Smoothound, and Garfish can be caught from all along the beach. If you want to target Plaice, Rays and Dabs then the West Bexington end of the beach is more consistent. Portland: The high water tide times for the next couple of days are great for a dusk lure fishing session for Pollock around Portland Bill. Day time tides will be good for Wrasse. I fished with lures on a number of days this week and managed a few fish. Still well down on last years numbers, but I love to lure fish. It is so much more mobile than bait fishing. 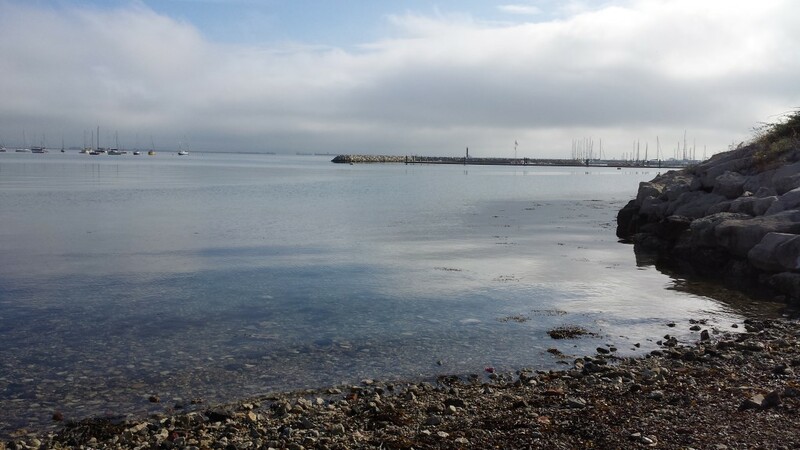 Portland Harbour: I highlighted Hamm beach earlier, though this is a good mark at times, it can also be a bust mark at the weekends with windsurfers. Just remember they have as much right to use the water as anglers do, so please don’t set up right in the middle of them like I seen some idiots do last weekend. Try the other side of Ferrybridge towards Sandsfoot Sailing Club. I have often managed to pick up some nice Bass and Bream from that area. Weymouth Bay: Lots of variety from both piers and Preston Beach. A simple ledgered Ragworm straight down th epier wall can produce surprising results. Expect Pollock, Pout, Bream, Scorpion fish and Wrasse. If you float fish a strip of Mackerel then you should catch Mackerel, Garfish and Pollock. Head into the harbour if you want to try floating bread for the Mullet. Preston Beach will produce flatfish and the odd Bass. It is a good mark if the wind gets up too much on Sunday. Hi Sean,how come you hardly ever mention much about Burton Bradstock in your chesil forecasts? reports up my way say an 18lb + thornback was caught there! Didn’t hear about that one Brian. That is a big Ray. Some anglers don’t want there catches broadcast and unless I have permission from them I wont report it. The more people that share their catch reports the better the site will become. Firstly cheers for such a good, regular forecast that covers my local area. Recently I’ve become absolutely obsessed with catching a bass with lure setup, but unfortunately Ive caught a fat lot of FA (Except for the odd unlucky Pollock when casting, and their no fun to catch at all). In all honesty it’s got to the point that I’ve got to justify the hundreds of £££ I’ve spent on kit to my wife, and I can’t (i.e we’ve not had Bass for tea once). 1) Im definitely casting long enough. 2) Im fishing for a few hours before and to high tide so the bait fish are pushed against the shore. 3) Ive been to marks at low tide to spot the right environments. 4) Ive fished all the way back from the Bill to the Harbour walls, Fleet, Portland few miles of Chesil, Hamm Beach and Weymouth. 5) I have a vast selection of lures (advised by local tackle shops) and have tried them all! I am absolutely determined that my first taste of sea bass will not be one purchased ASDA!!!!!!!! I hope that you are not limiting your fishing to those 2 hours either side of high water. Of all the marks I fish, there is only about 5 that fish well during that time, and two of those only fish at a certain time of year. A lot of my Bass come on the ebb or over low water. Learn to know what lures work best at different marks. My best advice to you is book a session or a workshop with me. You could buy 4 lures for the price of half a day with me, but those lures wont show you how to get the best out of the ones you already have.